B&O Yorkville Run hosts seventh annual 5K charity race and third annual Canadian 5K Road Race Championship in the Bloor-Yorkville community on September 11, 2016. The B&O Yorkville Run is a premier, boutique, 5K race that unites local runners and businesses to raise funds for local charities. 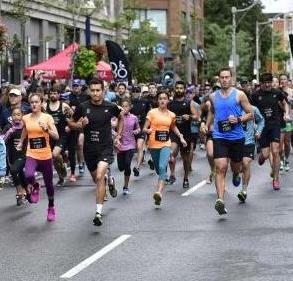 The run provides a luxurious experience to its 1,000 participants — from its high-end race kit, to its oversized finishers’ medals and après-run hors d`oeuvres, served by white-gloved waiters, courtesy of Bloor-Yorkville restaurants. As a proud Community Partner, the Bloor-Yorkville BIA is happy to announce that since its inception in 2010, the B&O Yorkville Run has raised over $600,000 for various local charities including YWCA Toronto, Mount Sinai Hospital, Prostate Cancer Canada, Jesse Ketchum Public School, Victim Services Toronto and Wellspring. Participants test their endurance and speed in 2015. 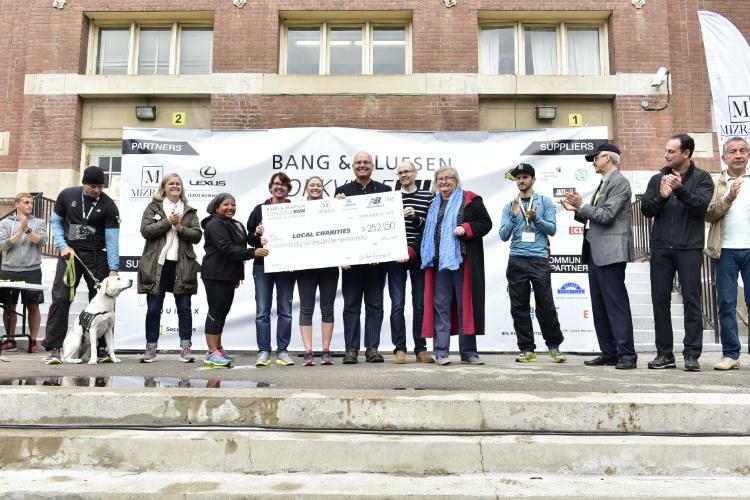 Further to its fundraising achievements, the B&O Yorkville Run is also known for its strong athleticism. The race was named Canada’s fastest 5K road race from 2010-2013, attracting the world’s best-in-class runners, including Wesley Korir, winner of the Boston Marathon in 2012 and LA Marathon in 2009 and 2010. The race is so fast that Athletics Canada, the national governing body for track and field, road running and cross country, designated the race as the inaugural Canadian 5K Road Race Championship. At 9:00 a.m. this Sunday, September 11, 200 elite runners will compete in the Canadian 5K Road Race Championship for the title and a cash prize, and at 9:45 a.m., 1,000 community runners/walkers will participate in the fifth annual B&O Yorkville Run.